Crooked teeth and poor bite are oral health problems that can cause tooth decay, gum disease, teeth wear and many other issues. If you are unhappy about the way your teeth are aligned and want to get it fixed, orthodontic treatment solutions can help you. Orthodontics is the specialization of dental medicine which involves the study of the position of teeth in a relationship one another and the way the upper and lower teeth come together in a bite. When our dentist notices a problem in the way teeth are aligned or the bite exists, he/she recommends orthodontic treatments to move the teeth in planned direction. Clear aligners are one of the advanced orthodontic systems of aligners we use in this regard. They have a few advantages over dental braces when it comes to appearance and comfort. But are all cases treatable using clear aligners? How does our dentist find out the right orthodontic treatment for you at Sacramento office? The following write-up sheds some light in this regard. Call our office to make an appointment and speak to our dentist for more information related to clear aligners. Clear aligners were designed with an aim to treat minor orthodontic issues. The dental lab moulds plastic aligners to precision and sends it to our Sacramento office. Initially, each pair of aligners misfit the bite of the person and the patient may experience some amount of discomfort during the first few days. The gradual pressure applied by aligners moves the teeth in the planned direction. 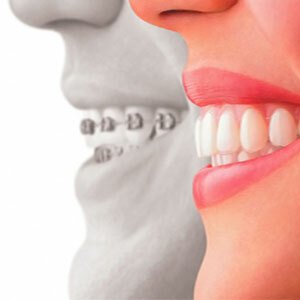 This occurs step-by-step, so a patient may be provided 12 to 18 pair of aligners. When the clear aligners are fit over teeth, they move specific teeth at the roots in such a way that there is resorption of jawbone tissues on one side and there is bone tissue growth on the other. This takes place step by step and the patient can see the change in the smile over a span of time. Most of the websites of clear aligner products claim that they can be used to treat almost all varieties of orthodontic problems. Our dentist takes impressions of teeth and lets patients know if they are the specific case can be treated. Clear aligners are a wonderful option to move teeth in mild to moderate orthodontic cases. It is important for patients to adhere to using clear aligners for at least 22 hours of a day in order to achieve the expected results. From scheduling an appointment to walking in the front door and being warmly greeted to having any sort of dental work done by the excellent dentists and fantastic techs and hygienist, EVERY appointment with the Craftsman staff has been professional, caring and fantastic! Thank you for your wonderful and personable dental care! Dr. Mike was able to clean out a small cavity in one of my front teeth in about 15 minutes. He does such great work. I recommend him to anyone who is looking for a friend and a great dentist. Nadine and I have been with Craftsman Dental for several years. We find their workmanship superior. Their staff are simply great. 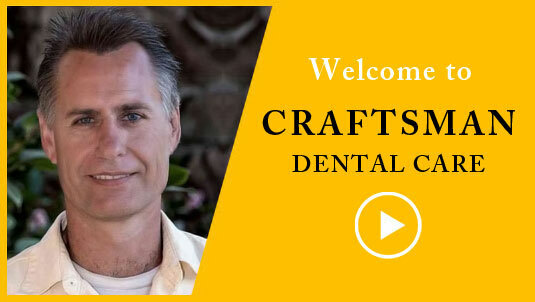 We highly recommend Craftsman Dental as a family atmosphere you will enjoy. Drs. Mike and Shari are fabulous! I have been a patient for 13 years and always get excellent care. Everyone in the office is friendly and caring and the decor reminds me of home. At the same time the staff are professional and I trust their knowledge and expertise.